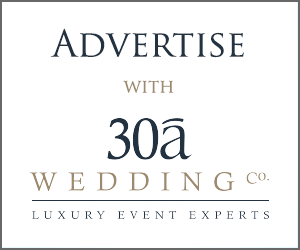 30a Wedding Co. / How To Enjoy Your Rainy Wedding Day - 30a Wedding Co. How To Enjoy Your Rainy Wedding Day - 30a Wedding Co. 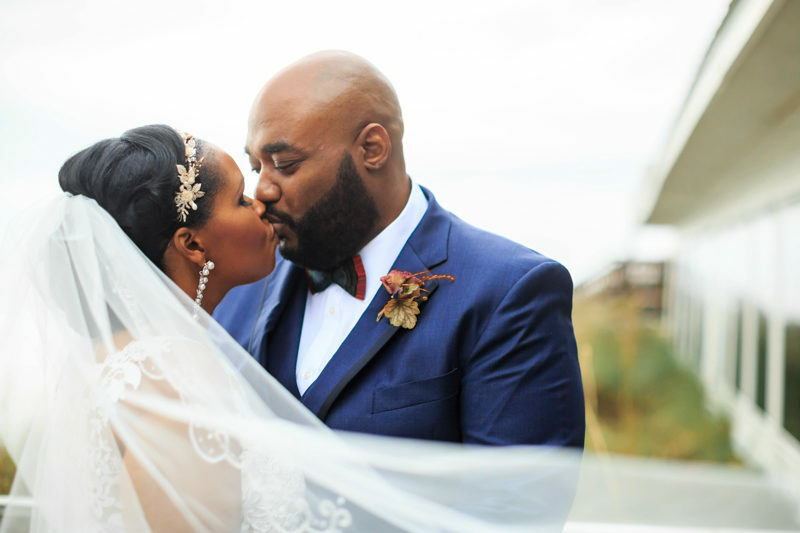 When you’ve been thinking and visualizing your wedding since you can remember, it can be a hard pill to swallow when you find out it may not end up exactly according to plan. 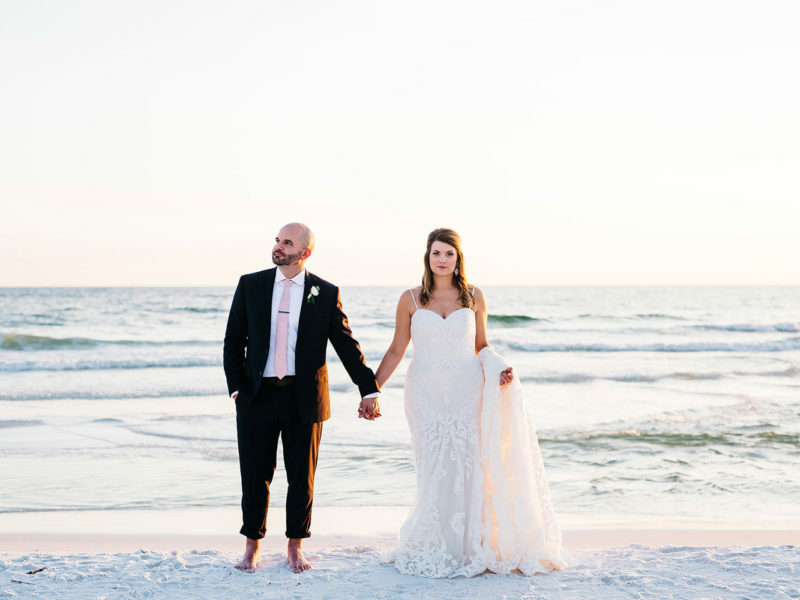 A rainy wedding day is one huge concern for many brides, but our 30a-listers have some tips and ideas to help you make the best of any weather that comes your way. 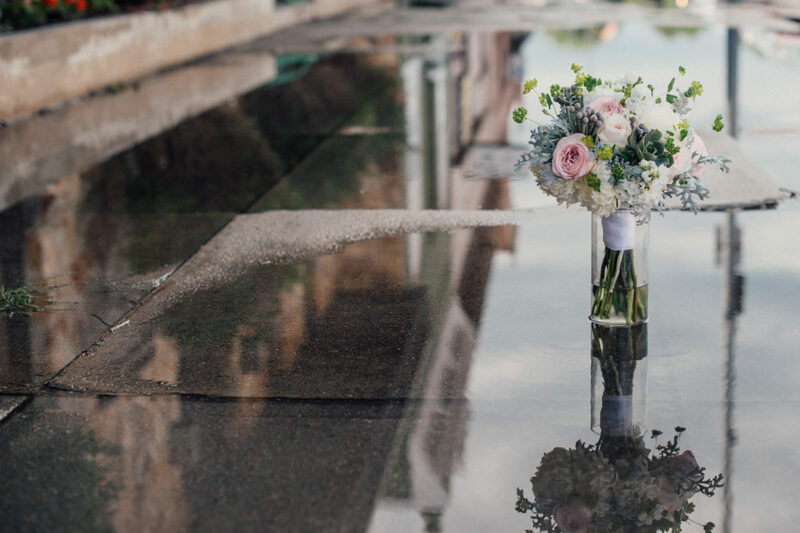 If you see a rainy wedding day in your future, it might be time to consider a backup plan. 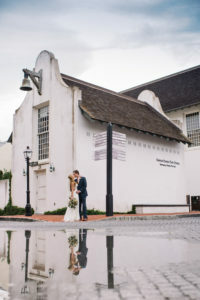 “Trust your planner to help you come up with a rain backup plan that you’re both happy with, as far as location and design” says Avis Glenister, wedding planner with Peach and Pearl Events. Not having a backup plan will cause extra stress on the wedding day, when you should be focused on marrying your best friend. One solid option is to add a tent to cover your outdoor space, so your vision and feel of the day can stay the same. 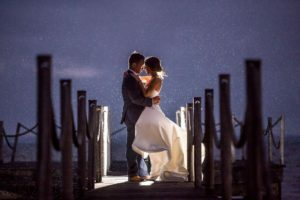 Not only can they be added in the days leading up to the wedding if you see rain coming, but it also adds a comfort level for you and your guests (as well as a killer photo op!) 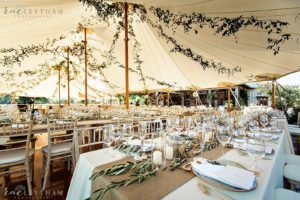 If tents are not an option, check with venues that may have extra space for you to relocate the ceremony. Once you’ve got a backup plan in place, it’s time to focus on how much fun a rainy wedding day can actually be. For starters, how about a unique photo session? 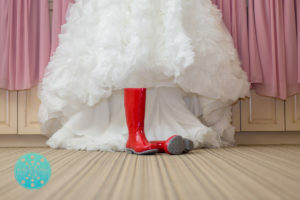 Grab a cute umbrella with some bright rubber boots and have your photographer work with you on snagging some cute shots. Also think about grabbing extra umbrellas for your guests for one giant rainy group photo. 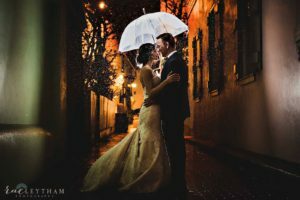 Or, if your photographer is skilled with using flash, ask them to take advantage of the falling raindrops by illuminating them for a killer wedding photo. The best part is that it’s something not every couple can get, so it’s sure to be an amazing moment. 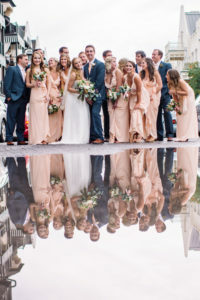 Another fun idea is to have your photographer/videographer incorporate the rain puddles that gather. The reflection can add so much to your detail shots or your couples photo session and it allows you to remember the day as it was.